Years ago there was a great emphasis on heaven in the church’s preaching, praying, and singing. In the last few decades there has been a movement toward an increased focus on the church being active in the world right now, and that is good. Unfortunately, along with that focus on the here and now, there has been a diminishing emphasis on the eternal promises of God. Lutheran theologian and seminary professor Gerhard Forde placed some of the blame for this neglect on a protest song that came out of the labor movement of the early 1900’s. The song was The Slave and the Preacher, also known as Pie in the Sky. This song was written by a hobo named Joe Hill. 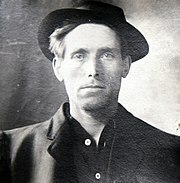 Hill was a Swedish immigrant who, along with many others at the time, could not find work that paid enough to survive, and so he became active in the labor movement. The song is critical of those preachers who told protesting laborers to just be quiet about low wages and all the injustices in this life because everything would be better in the afterlife. However, those fine preachers would not even give a starving man a sandwich. Gerhard Forde said that the phrase ‘pie in the sky when you die’ has become a way to scoff at this central hope of the Christian faith, dismissing it with contempt for its ‘other worldly’ emphasis. Actually, Christians have a long and rich heritage of working for a fair and just society, along with providing for the poor. Those preachers who opposed such work for social justice in the early 1900’s were wrong. Furthermore, the failure of some Christians does not disprove the truth of the Christian message, and it is unwise to disregard the central hope of the Christian faith in such a casual way. But the criticism stuck and it remains a way to sneer at this hope that is so central to our faith. God does promise us a better life after our time on this earth has ended, and that is our ultimate hope as Christians. If someone wants to call that ‘pie in the sky when you die’ it is all right with me. I like pie, and I trust that I will like whatever God has prepared for me. I also know that after I am dead I am not going to have much else going for me. I know of no other valid offer on the table, so if someone is going to be handing out pie at that time, I want to be in line. We need not be intimidated when our faith in this eternal hope is ridiculed. This hope of eternal life is what we rejoice in most of all. Micah 6:8 — He has shown you, O mortal, what is good. And what does the Lord require of you? To act justly and to love mercy and to walk humbly with your God.